The advent of wide-scale 3D printing may have a huge impact on the geography of manufacturing, and it may start with shoes. Reebok has recently made known its plans to open a new, cutting-edge "Liquid Factory" early next year in Rhode Island. Alexa Meade, an American artist, creates amusing 3D and 2D installations with real people and objects. 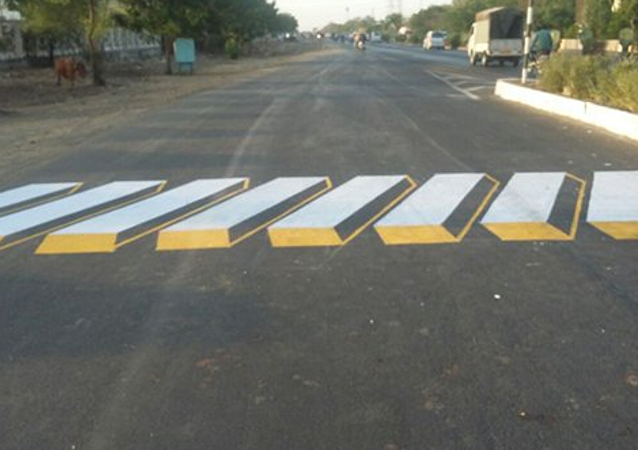 The Indian government is planning to splash 3D paints on highways and busy roads creating virtual speed-bumps in a bid to increase driver safety.